This home is loaded with curb appeal and has a fantastic, big front porch! 10-Ft ceilings , open floorplan, beautiful hardwoods, plantation shutters, fenced courtyard are just a few of the custom features. The kitchen is a perfect 10 with a big island, granite counters, tile backsplash,& stainless appliances. It is open to the living room making it ideal for large gatherings. Walking distance to town center, school, and residents club. 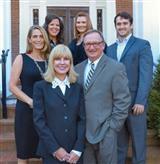 This is a one-stop real estate website for all your home buying and selling needs in Hendersonville, TN.